A tour to experience the best of Himalayan landscape, culture and tradition. From foothills to high mountains, from pine forests to cold desert – this tour takes you through the Chandra Valley in Lahaul before continuing to the highlands of Spiti Valley. Along the journey you will witness – high passes, ancient temples, monasteries dangerous roads, deep gorges, snow mountains, pine forests, vast riverbeds, high altitude villages and the most amazing people. Exciting journey awaits on a road less traveled as you start from Manali. You drive – above Rohtang Pass and Kunzum Pass, over the river beds & boulders along Chandra River surrounded by mile long glaciers and Snow peaks, before you enter the magnificent Spiti Valley in the fading hours to witness the golden mountains of Spiti. Drive to Pin Valley – a tributary of the Spiti river, ‘Pin’ originates deep in the Trans Himalayan mountains leading to one of the ancient trade routes and popular trek of Bhaba Pass. It is also home to the magnificent Snow Leopard and several Trans Himalayan animals and rare birds protected under the National Parks of India. You’ll drive through this beautiful valley up to last village of Mudh before heading towards Tabo. Tabo is the second most popular town in Spiti Valley know for its Chos Khor Gompa (1020 AD) – a monastery which is also a UNESCO World Heritage Site depicts the lineage of Buddhism. Drive to Dhankar Monastery, perched on the edge of a 300m cliff is a sight to behold and looks straight out of a movie set. 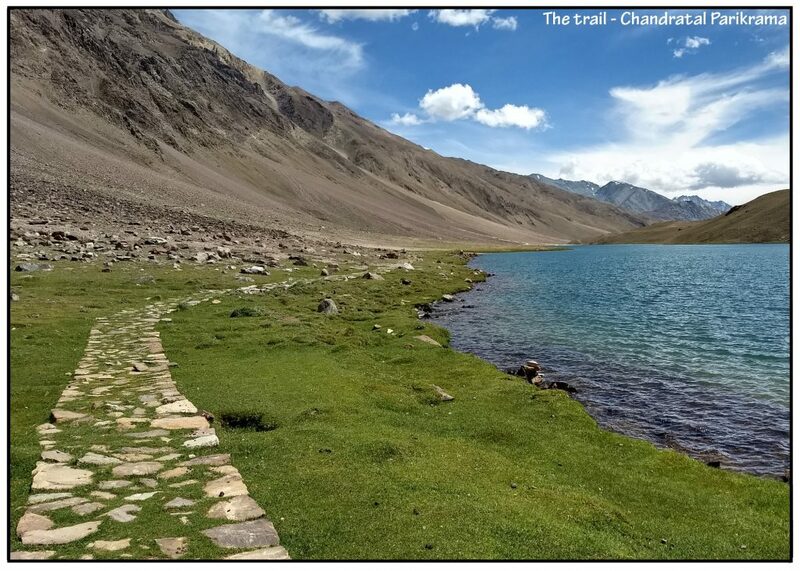 An hour trek takes you to the beautiful Dhankar Lake situated above the Dhankar village is a great way to get introduced to High Himalayan Trekking. After Dhankar you drive to Lhalung a lesser known village situated on the slopes in Lingti Valley also home to the most beautiful monastery of Spiti – Serkhong Gompa (The Golden Temple). Drive on the twisting high roads of Spiti to reach Komic, the highest village in the world with a motor-able road at 4580m. Have the most amazing expereince of sending postcards to your loved ones from World’s Highest post office at Hikkim (4440m). Continue driving on these high roads above 4300m with the magnificent Himalayas jutting in front of your eyes to reach Langza – the most beautiful Himalayan Village with a 6303m Peak Mt. CCKN adorning its backdrop. A trip to Spiti is incomplete without a visit to its iconic monastery at Kee. Built on top of a hill the main shrine is surrounded by residential quarters, administrative buildings are built in the shape of a pyramid. This ancient marvel is a photographers delight. You’ll further visit the villages high villages of Kibber, Chicham before continuing to Chandratal. The drive retraces your path back towards Manali over Kunzum Pass before heading upstream of Chandra river till you reach the Hidden Jewel of the Himalayan mountains, the blue Jewel, Chandratal literally translated as Moon Lake. From the roadhead you will have to trek for 15 min to reach the lake and if you feel energetic enough you can do the Parikrama or Circumambulation of the lake to witness its true glory. After the most memorable trip of your life you head back to Manali with lot of photos, videos and friends from high Himalayas.